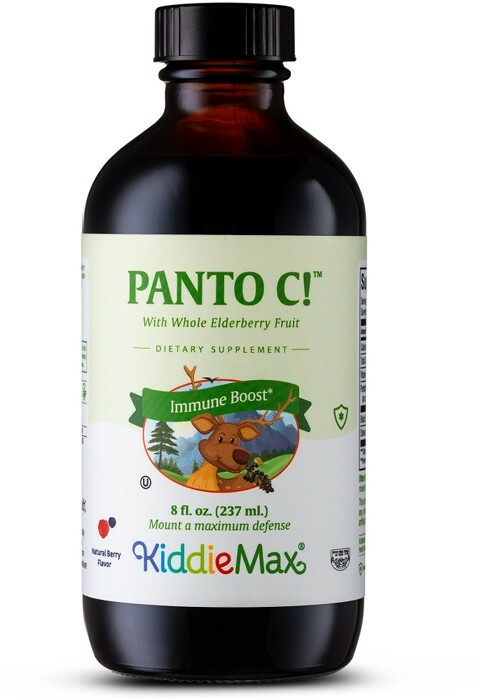 Panto-C™ (liquid) has been formulated to support suffers of seasonal allergies, It’s a delicious natural berry flavor liquid with you and your family in mind. It features pantothenic acid, vitamin C and elderberry all in the same formula. Elderberry is rich in flavonoids and vitamins C, B1, B2 and B6. It supports the immune system and mucous membranes. Elderberry consists of over 20 species, we use sambucus nigra L. the elderberry most sought after by those in the know. Allergy support is just a teaspoon away! Get Panto C™ liquid today! Take one (1) teaspoon in water or juice twice daily, or as directed by your healthcare practitioner. Other Ingredients: Vegetable glycerin, deionized water, mixed berry natural flavor. This product contains no animal products, soy, wheat, gluten, yeast, salt, sugar, milk, alcohol, corn, artificial flavors, colorings or preservatives. My 6-year-old son suddenly lost his hearing. When the doctor checked him out he said that he had fluid in his ears. This was caused by his stuffy clogged nose that's not letting the fluid in his ears drain. He failed the hearing test and was recommended tubes. I went to Supreme Health food store and was recommended to try the liquid Panto C, along with some other drops. I experienced excellent results noticing almost instantly that his airways cleared. Since then Panto C became my favorite. On the onset of a cold with any of my children I use it and I am very pleased with the results. P.S. My children love the taste of it. I give it as is on a teaspoon. My 2 year old, had constant runny nose, coughing and colds. I started giving Kyolic and Panto C with Elderberry extract. The results came right away. I told my family and friends about this amazing product. My 18 month old daughter had allergies and eczema. We gave her Panto C and it cleared up with no reoccurances! Thanks to Maxi Health. In our refrigerator we have Maxi Health Panto C Elderberry Extract (with Elderberry extract). When signs of a cold arrive, the kids take some and never end up with the actual cold. We expect it to help for the rest of the winter. I really appreciate your products and vitamins. I would especially love to thank you for your Panto C Liquid. My little sister doesn't eat enough and therefore her immune system is not as strong. My mother found out about Panto C and gave it to her. My sister loves the taste and she is healthier. I'm using it for my little one. it helps wonderful! Thanks Maxi! I use to suffer from allergies. The Panto C we got at the health food store helped like magic, right away! Thanks for advertising your Panto C Liquid. I bought it for my son. My daughter was happy with it too. I give my kids Panto C liquid in the winter to dry up their colds. The winter had just begun, and my kids were suffering from runny noses and heavy coughing already. Speaking to my sister, I vented all my frustrations in the phone. She said to me that she came across Maxi Health's Panto-C Liquid and in just two days the toddlers colds vanished. She advised me to try it and I did. Soon my entire family was cold free, I cannot thank Maxi Health enough!